My wife's cousin from England, Geoffrey, has been visiting for the past three weeks. I have been promising to take him over to Snappy Dogs for a Friday special. He's been "pretty keen" on the Pearl Franks while visiting, so today was the day! 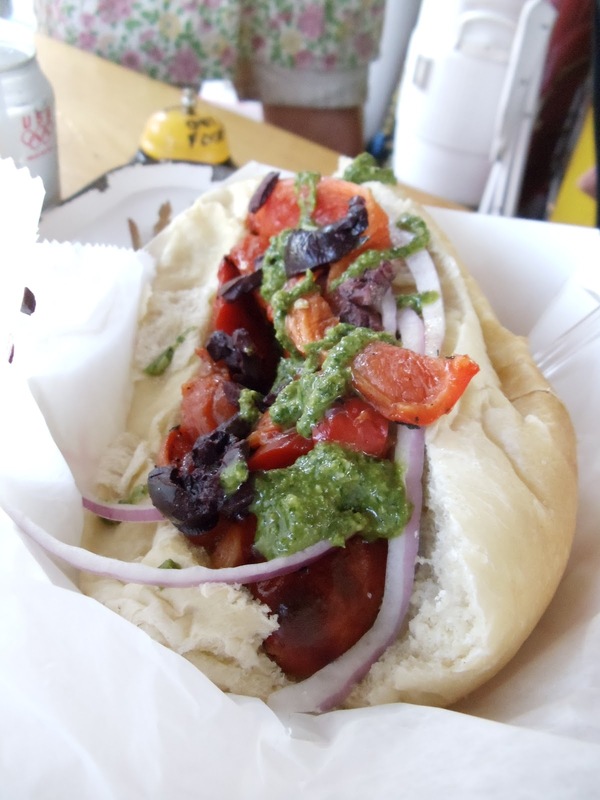 Lisa and Theresa were serving up "The Candidate," a grilled Snappy Dog with roasted peppers, crisp red onion, feta cheese, black olives, and parsley pesto. Lisa has done it again- it was DELICIOUS!